...use 'em to make guac. Or salad dressing. 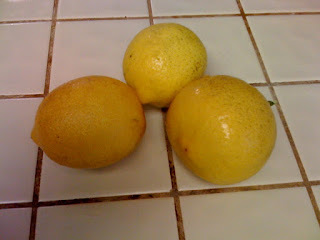 Fresh from a next door neighbor's back yard lemon tree. And out of season, how odd. Allie also snagged some persimmons.